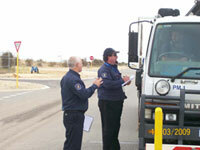 Static security guards are an important element in any security plan. After all, there is no better way to protect your property than having guards stationed right next to it. At All State Security, we believe that our guards are not only a reflection of our company but are also a representative for your business. We only hire staff with great people skills who work confidently within industry regulations. We work closely with clients to create and implement a mobile patrol security solution that suits their requirements and budget. All of our patrol guards are rigorously trained in crisis management, first aid and industry standard incident reporting, and our Mobile Patrol Unit vehicles are fully equipped with radio and telephone communication capabilities. 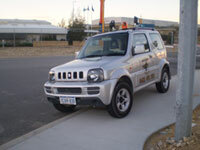 Gatehouse Management is a specialized security operation developed to specific requirements. Our gatehouse management guards can provide a number of services, including recording visitors and contractors entering the site, issuing passes, responding to alarms on site, directing emergency services, after hour security patrols, writing of incident reports and liaising with emergency services. The safety of shoppers and employees is of paramount importance in a shopping centre environment. All State Security Systems-trained guards are well presented, effective communicators who can perform a range of duties including manning control room monitoring cameras, responding to alarms, bag checking and rapid first aid response.